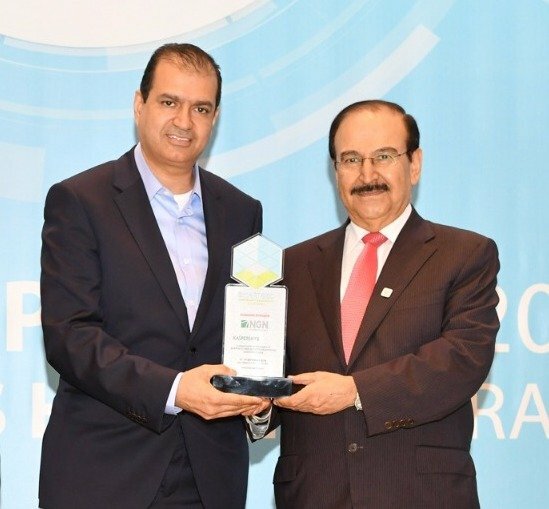 NGN International, full-fledged systems integrator and IT consultant, headquartered in Bahrain, successfully participated in the SmartSec for Cybersecurity and Blockchain conference. 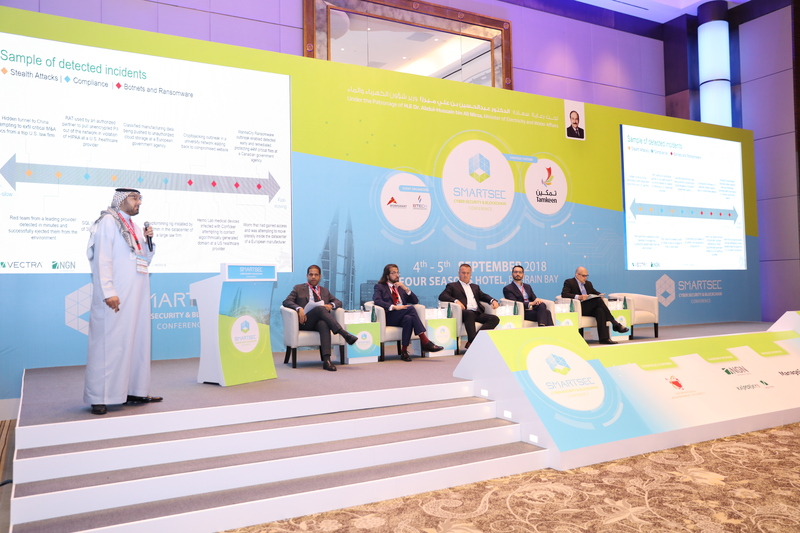 Speaking at the opening ceremony of the conference, CEO of NGN Mr. Yaccob Al Awadhi called to attract leading investors and entrepreneurs to develop a national plan to optimise the investment in Blockchain. Mr Al Awadhi cited the need for cooperation between public and private sectors, to support the growth and diversification of economy, as the central Bank of Bahrain (CBB) in partnership with Bahrain Economic Development Board (EDB) and other partners are cooperating to develop “FinTech” in Bahrain. During the first day of the event, Mr. Ammar Enaya, a representative of Al-based cyber security “Vectra Networks” delivered a speech on “Artificial intelligence to automate real-time threat hunting”. 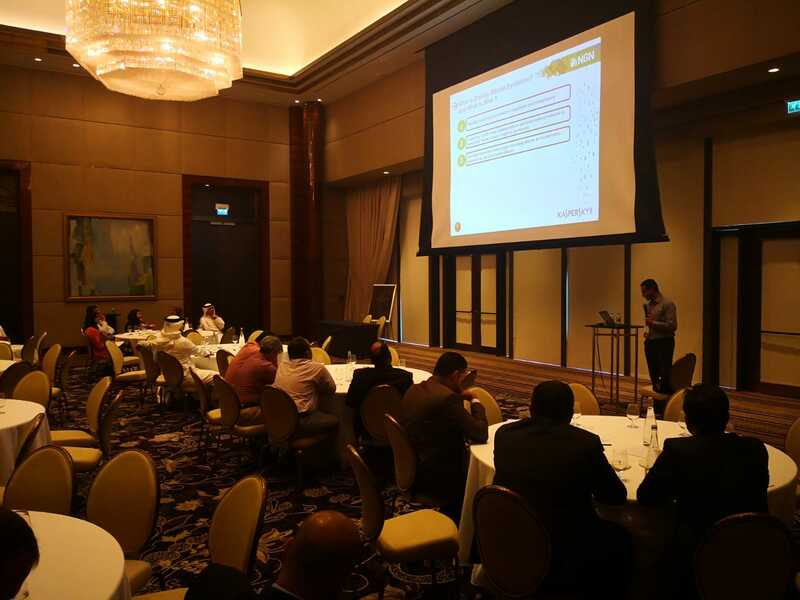 On the second day event, Mr. Ramy Al-Damati, a representative of Kaspersky, presented a workshop themed “New line of Defense for Cybersecurity, Blockchain”, during which he presented an overview of Blockchain technology, Common Forms of Cyber-Attacks Affecting the Financial/Gov. Services Industry, Implementing Blockchain in Cybersecurity and the advantages and disadvantages of Using Blockchain in Cybersecurity. Moreover, Mr. Al Damati briefed on the future of Fintech and Blockchain and its IT benefits, types of Blockchain Trust Models and Reasons Blockchain Is Exciting for Cybersecurity. Additionally, NGN, which is also the diamond sponsor of the conference, participated in the exhibition on the sidelines of the event. The company ran a live demo of video analytics solution, based on face recognition technology. The solution can use existing infrastructure and in life mode analyze video streaming to identify individuals by different scenarios: blacklisted people, people from wanted suspect list, VIPs, employees entering restricted areas etc. Additionally, NGN made a stress on Blockchain technology, other cyber security solutions and drone management solutions for public security.